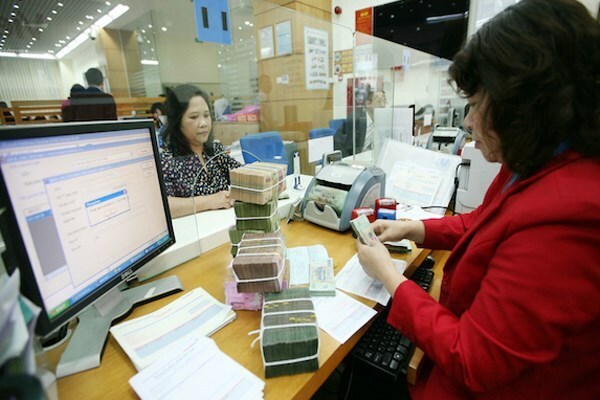 Hanoi (VNA) – The total State budget collection hit upwards 623.2 trillion VND (27 billion USD) in the first eight months this year, meeting 64.4 percent of the yearly estimate and rising by 10.8 percent annually, reported the General Department of Taxation. Of the figure, 30 trillion VND was from crude oil thanks to its higher prices, equivalent to 78.3 percent of the estimate and marking an 11.3 percent annual increase. The domestic revenue was estimated to rise 10.8 percent year-on-year to 593.3 trillion VND. The central budget collection hit 275.7 trillion VND during the period, or 56.7 percent of the estimate and up 21.6 percent annually. The department said up to 28 out of the 63 localities performed well in terms of the progress of the State budget collection, including Thai Nguyen, Lang Son, Ha Nam, Bac Giang, Bac Ninh, Gia Lai, Binh Dinh, Quang Ngai, Dak Lak, Phu Tho, Lao Cai, Lam Dong, Nam Dinh, Binh Phuoc, An Giang, Dak Nong, Da Nang, Kon Tum, Thanh Hoa, Tien Giang, Quang Binh, Tra Vinh, Bac Lieu, Quang Ninh, Binh Thuan, Khanh Hoa, Ben Tre, Long An. The other 15 localities achieved average level in the effort and the remaining recorded low.